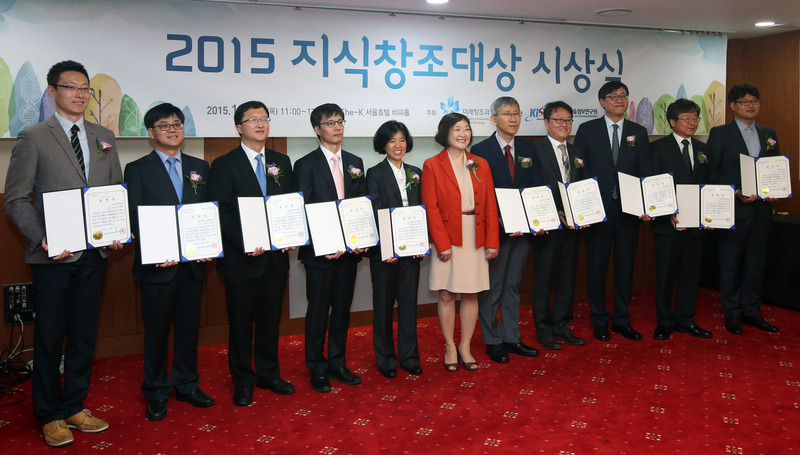 Prof. Hyeon Suk Shin (photo, center) is posing for a portrait after receiving the award at the ceremony. 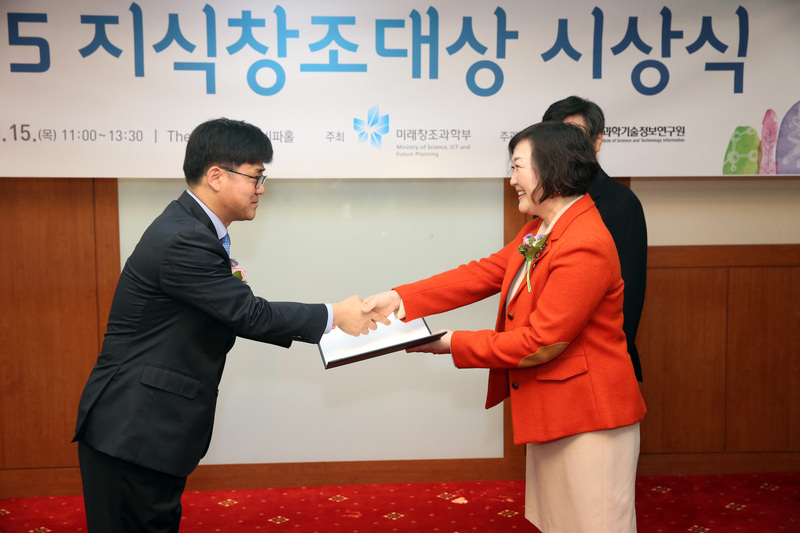 Prof. Hyeon Suk Shin (School of Natural Science), ranked among the top 1% most cited authors. Each year, about ten researchers earn this distinction by having their works, indexed in Science Citation Index Expanded (SCIE). Journals selected within the SCIE are considered the highest impact journals — ranking among the top 1% most cited for their subject fields and year of publications, earning them the mark of exceptional impact. 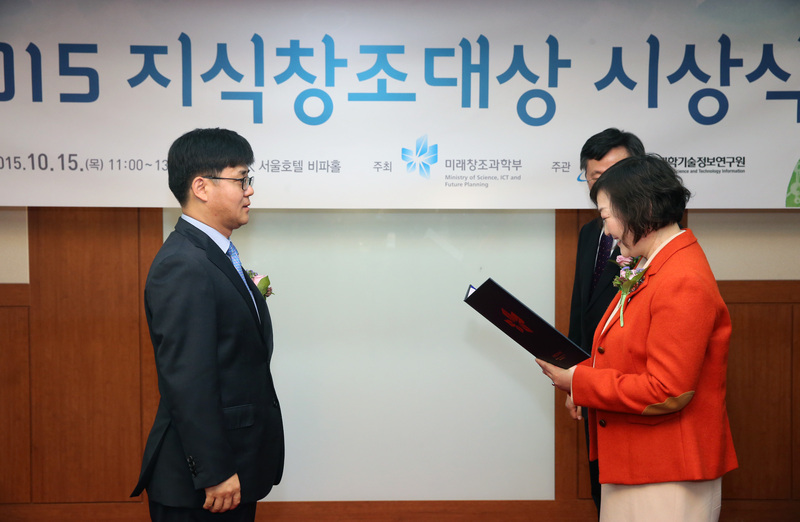 In a ceremony on 15th October 2015, for the seventh times, the award was given to 10 high-impact Korean scientists, including Prof. Hyeon Suk Shin (School of Natural Science) of UNIST with an excellence proven record in their specific fields of study. This assessment was based on their research productivity over the prior ten-year period. 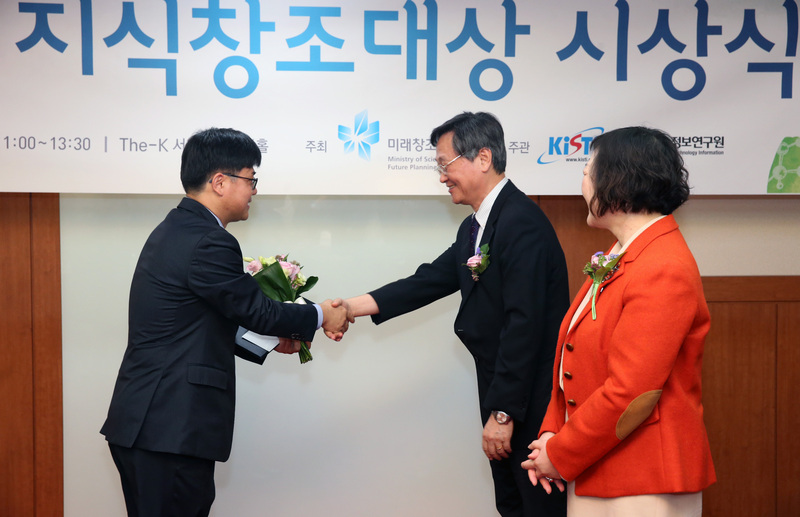 Prof. Hyeon Suk Shin has been a leading researcher in the related fields of graphene, hexagonal boron nitride (hBN), and the development and application of carbon-based nanomaterials. His impact on the academic circles is also noteworthy. He has published over 70 research papers in reputable journals, including Nature Materials, Nature Communications, and Nano Letters. Moreover, Prof. Shin has been recently ranked among the top 1% most cited authors for having two of his works published in SCIE over the 2005-2014 period. 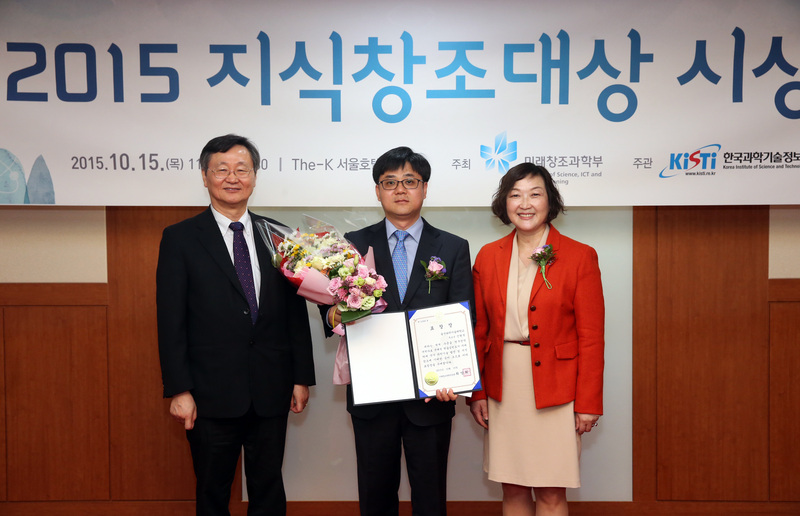 Prof. Shin received his M.S. 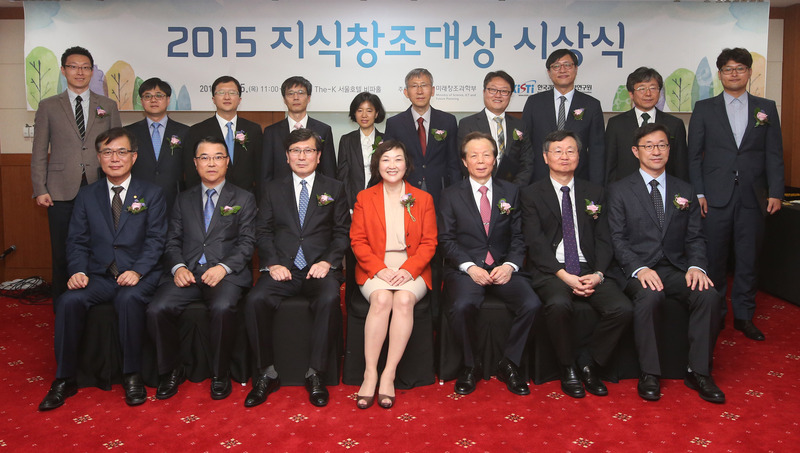 and Ph.D. degrees from POSTECH, Pohang, Korea, in 1996 and 1998, respectively, all in Chemistry. From 2005 to 2006, he worked as a Postdoctoral Researcher at the University of Cambridge, United Kingdom. Prior to joining UNIST, he worked as a Research Assistant at POSTECH from 2007 to 2008. 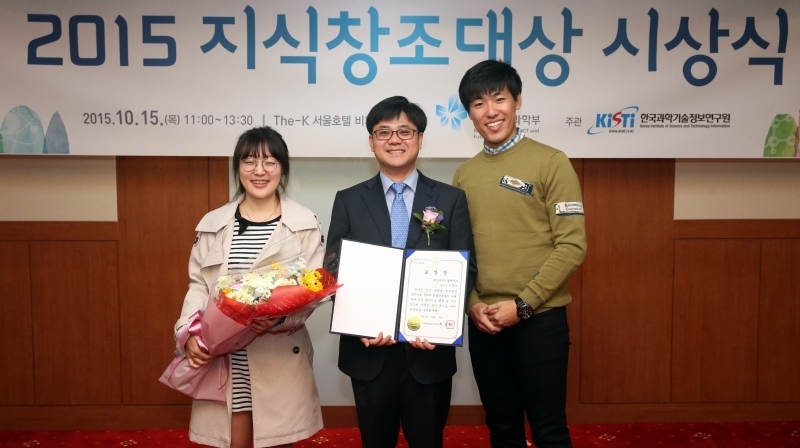 In 2008, he joined UNIST and now teaches in Ulsan, Korea.